Congratulations to all of our winners! You should already have an email from Next Day Flyers with details about your prize. 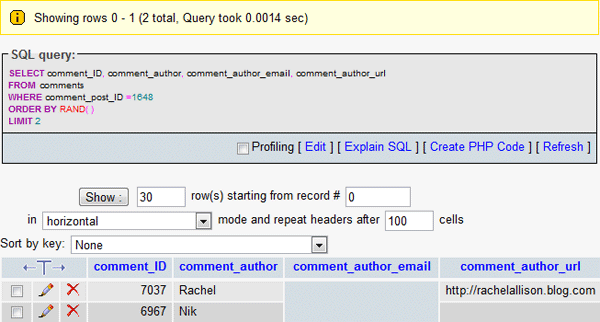 Result of SQL query that selected two winners at random. Next Day Flyers is an offset printer focused on providing excellent customer service and quality products. Over 100,000 customers have entrusted Next Day Flyers to get their print jobs done right. Be sure to check out their blog and follow them on Twitter @NextDayFlyers for great marketing ideas and tips.